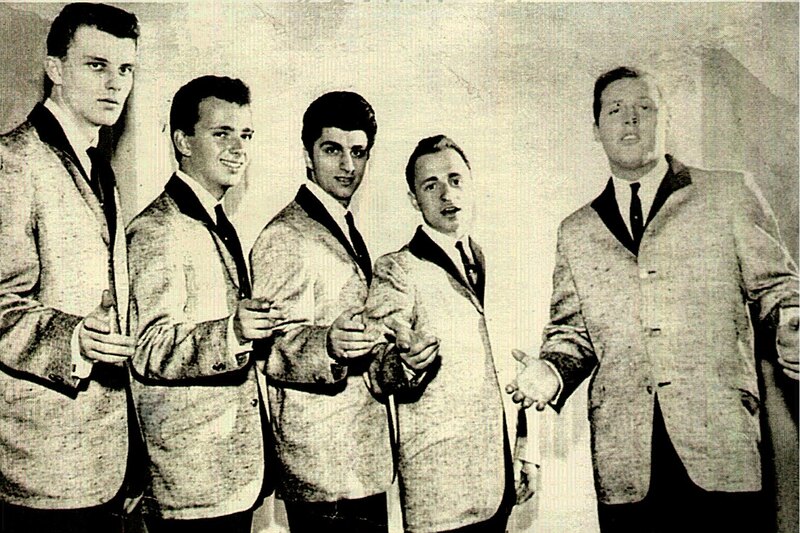 Above picture L to R; Charlie DiBella, Paul Albano, Tony Basile, Joe Barselona and John Carbone. 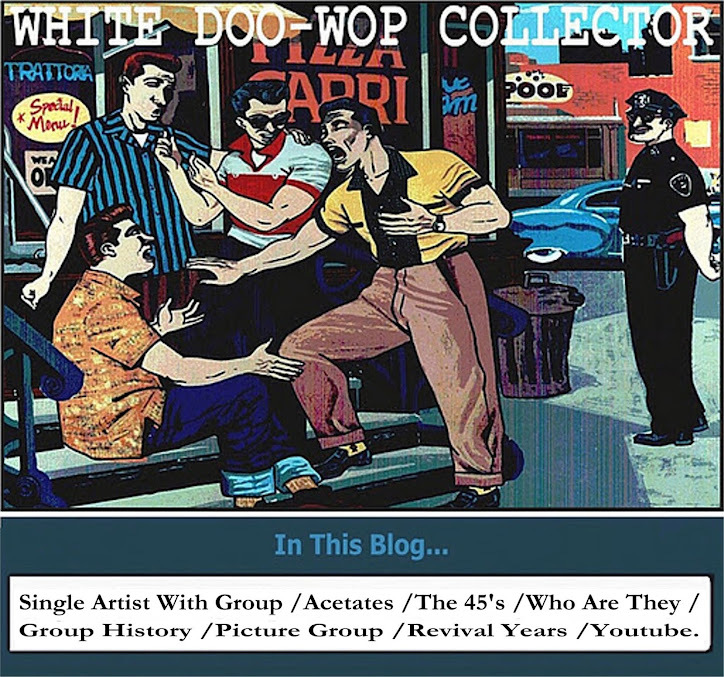 In 1963 three original members of The Five Discs(see in this blog) ;Joe Barsalona (Baritone), Paul Albano (1st Tenor) and Tony Basile (2º Tenor) with new members Charlie DiBella (Bass) and Eddie Pardocchi on Lead (from The Delvons) signed with Kapp Records and recorded"Let's Fall In Love/Oh Lana" under the group name of The Boyfriends. 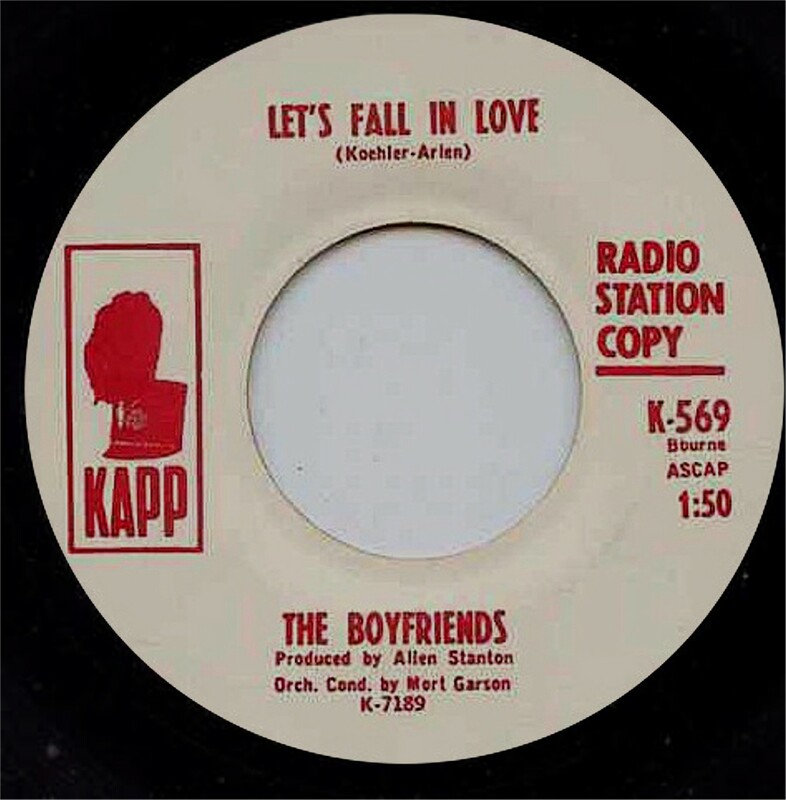 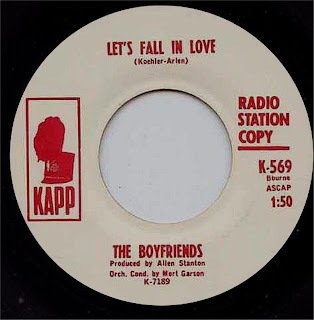 The single was released in 1964 Unafortunely The Beatles and the rest of the British invasion happened and the recording dead soon.after this recording the group broke up.